A performance-oriented crossover SUV from Volkswagen is coming, T-Roc R , which the automaker teased last week in a video. VW didn't take the T-Roc R just anywhere for the video, it took the vehicle to the Nürburgring with a proper race driver behind the wheel. The video shows Petter Solberg, the 2014 and 2015 World Rallycross champion and current VW R development driver, tackle the Green Hell in a T-Roc R prototype. He says the power and drivability should surprise drivers when the car launches. The main mystery remains what's under the hood, though the video seems to tip VW's hand. 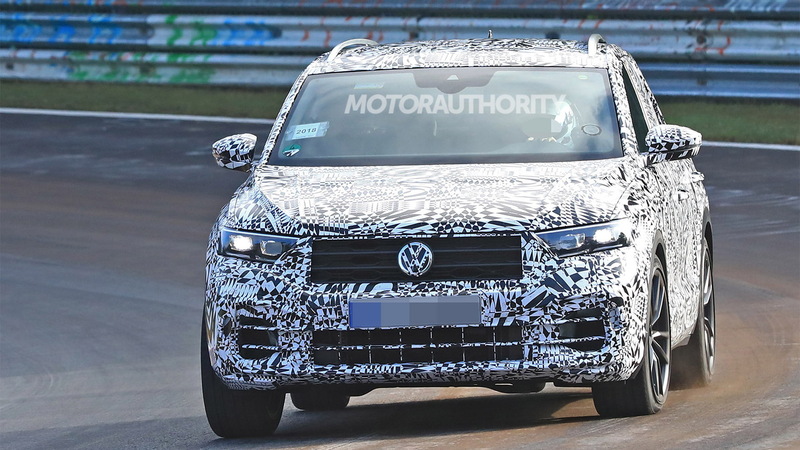 We previously reported our spy photographers said the engine and exhaust sound was quite similar to the Golf R, which employs a 2.0-liter turbocharged inline-4. 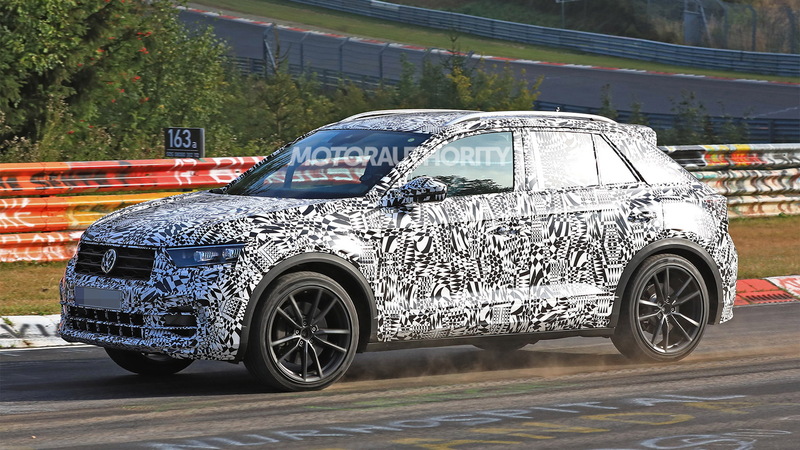 We also heard rumors a 2.5-liter turbocharged inline-5 from the Audi RS 3 was possible. The video, to our ears, seems to favor the latter engine. The noise sounds distinctively like a 5-cylinder, rather than a more traditional turbo-4. 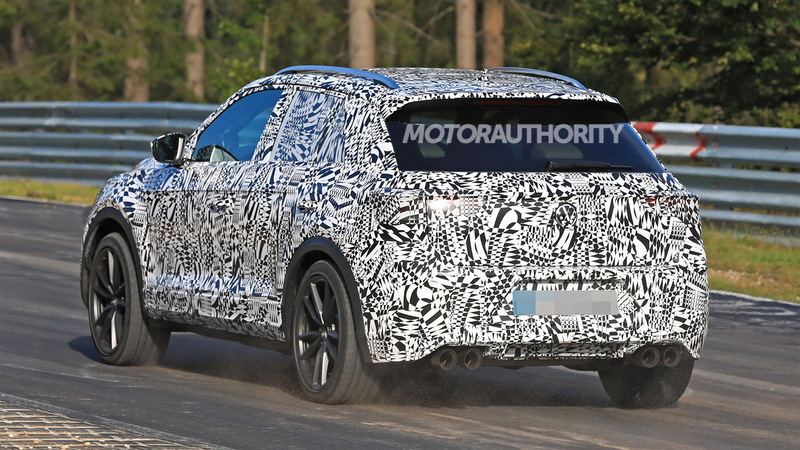 Either engine will likely pair to a 7-speed dual-clutch automatic transmission and an all-wheel-drive system. Americans shouldn't fall in love with the idea of a T-Roc R, however. VW has already confirmed it has no plans to sell the regular T-Roc in any form in the United States. 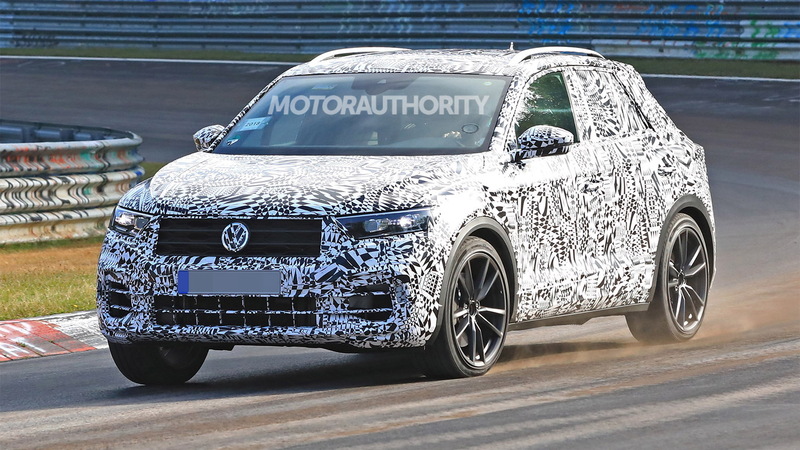 Instead, we'll receive a different crossover model sized smaller than the Tiguan. A teaser image shows we'll likely see the model take cues from the three-row Atlas. VW will also launch a mid-size Atlas Cross Sport in the U.S. to further bolster its SUV lineup. It remains to be seen if we'll also see a racier version of our own small crossover, and if not, we'll be left watching the rest of the world have all the fun.